Spend your days lazing on the beach beneath stout palmetto trees with a timeshare at Marriott's SurfWatch. Find timeshare resales and rentals priced up to 70% below retail costs today. Perfectly positioned just steps from the ocean on Hilton Head Island, Marriott's SurfWatch resort provides a one-of-a-kind beach vacation. Noted for its signature design and expertly-maintained grounds, you'll know you've arrived at vacation as soon as you set foot through the front door. Complete with a lavish outdoor swimming pool and a poolside bar, you'll find the welcoming aura of the SurfWatch resort the perfect place to relax and enjoy the sun. With a close proximity to all of Hilton Head's best attractions, you'll truly have it all at this exceptional home-away-from-home. 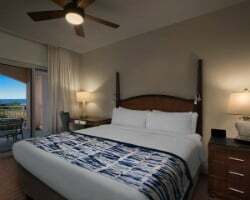 The villa-style units at the Marriott SurfWatch span in size from two bedrooms to three bedrooms, offering enough space and comfort for small and large groups. Ideal for family getaways or group adventures with friends, you'll find your timeshare accommodations at the SurfWatch to be warm and inviting. You'll be able to enjoy your unit's upscale in-room amenities and features, such as the private balcony, the full kitchen, and the convenient laundry machines. With so much to offer, it's no wonder why the SurfWatch Marriott has established itself as a popular vacation resort. If you're ready to secure your very own accommodations in the heart of Hilton Head Island, fill out the form on this page or call a representative at 1-877-815-4227 today to learn more about ownership opportunities at the resort. 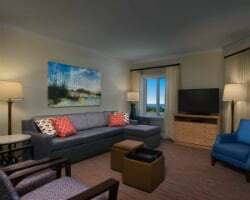 Owning a timeshare at the Marriott SurfWatch Hilton Head resort can be a great way to enjoy yearly trips to South Carolina with all the exciting benefits of timeshare ownership as an added bonus. However, you can get all that and more on the resale market for thousands less. Resales at the SurfWatch are sold by current timeshare owners, and not the resort itself. This means that prices for the same ownership solutions are available for much more realistic prices. 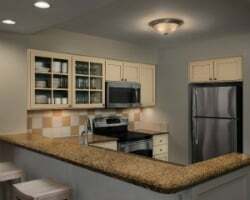 You can find timeshare units at the resort for rates up to 70% below retail costs. Timeshare resales at the Marriott SurfWatch resort come in the form of deeded fixed and floating Marriott timeshare weeks. You'll also find timeshares available in Marriott's Bronze, Silver, Gold, and Platinum seasons, offering a wide spread of price points for you to consider when making a purchase. What's more, a timeshare resale at the resort could lead to bigger and better vacations with the Marriott Vacation Club. The SurfWatch is a Marriott Vacation Club-affiliated resort, meaning it is tied to one of the most popular and in-demand vacation clubs in the world. 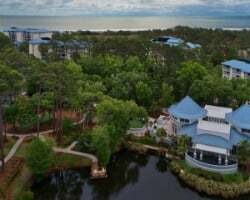 As a timeshare resale owner at the resort, you can start making reservations for your Hilton Head Island trips immediately, but further benefits and perks are available if you upgrade your ownership. Upgrading to Marriott Vacation Club Destinations points will enable you to take advantage of a convenient points-based ownership to better manage and plan your vacations. You can also use your Marriott points to book stays at other affiliated resorts in locations all across the world. The SurfWatch Marriott is also affiliated with one of the world's leading timeshare exchange companies, Interval International. Through timeshare exchange, you can maximize your resale ownership and use it to travel the world. Simply deposit your Hilton Head accommodations into Interval's exchange network and trade for stays at comparable resorts worldwide. Additionally, since the SurfWatch resort received the highest possible rank—the Elite rating—from Interval International, you'll likely be able to exchange with other Elite resorts and properties of similar quality. The SurfWatch resort is packed with convenient on-site amenities and services that will guarantee you a comfortable stay year-round. Relax by the pool area in the summertime to cool off in one of three saltwater pools, or stop by the poolside Sea Salts Beverage Company Pool Bar & Grill for delicious cocktails and food. Active travelers can keep on top of their fitness goals by visiting the exercise center on-site, or by walking the beach under a mile from the resort. Other services, like free WiFi Internet throughout the grounds and free on-site parking are available for each guest's utmost convenience. The SurfWatch's biggest amenity, however, is its location, You'll find amazing things to do and see all around Hilton Head Island from your accommodations at the SurfWatch. Head down to Coligny Beach to enjoy endless fun in the sun, or up to Harbour Town to stop in at boutique shops. Outdoors enthusiasts will love exploring the island's natural features, from hiking through the Pickney Island Wildlife Refuge to kayaking through Hilton Head's many waterways and inlets. Golfers will feel right at home too, with twenty PGA-sanctioned courses in the area. Head to the Port Royal Barony Golf Course or the Robert Trent Jones Golf Course for incredible seaside links. Already Own at Marriott’s SurfWatch?